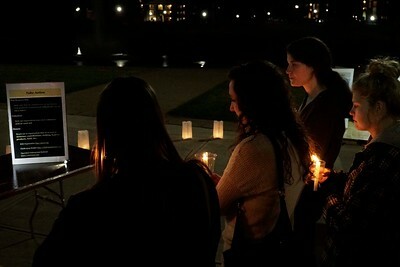 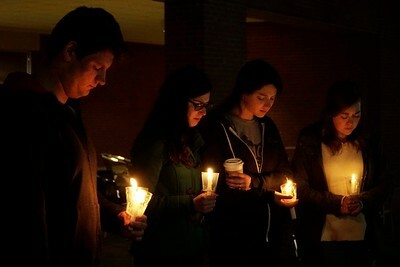 GWU students attend a candle light vigil Tuesday night by Lake Hollifield in awareness of human trafficking. 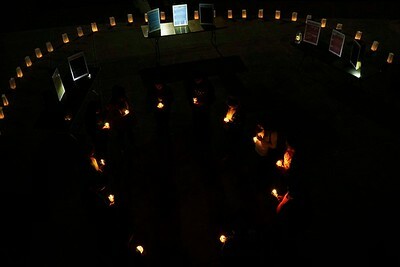 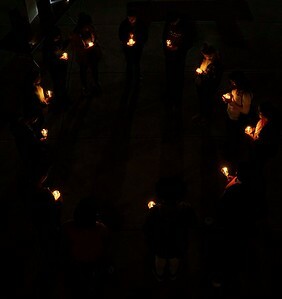 Gardner-Webb students take time by Lake Hollifield Tuesday night to remember the affects of human trafficking. 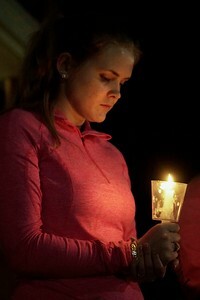 Taylor Mills stands by Lake Hollifield Tuesday night in remembrance of human trafficking victims at the candle-light vigil. 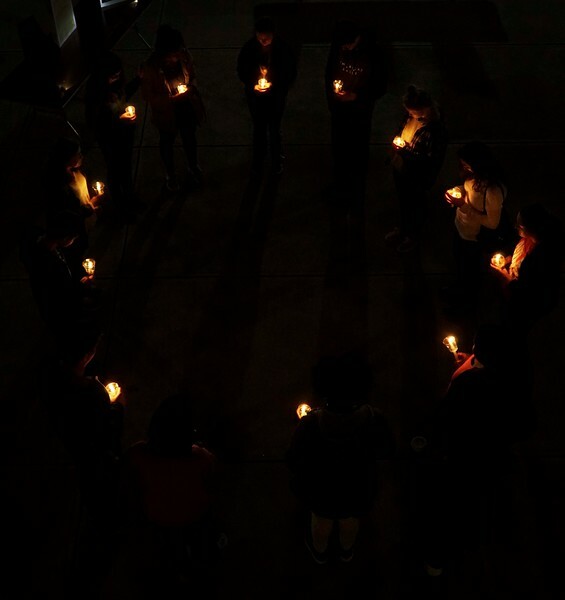 Gardner-Webb students read how to take action against human trafficking while attending the candle light vigil by Lake Hollifield Tuesday night. 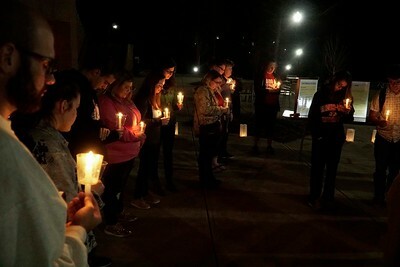 GWU students take awareness of human trafficking and pray on the issues involved during the candle light vigil Tuesday night by Lake Hollifield. 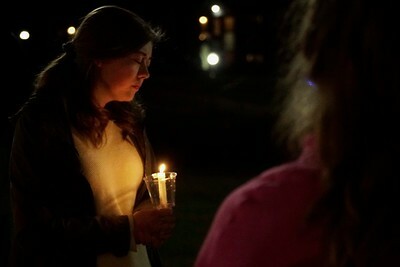 Hannah Wray prays, by Lake Hollifield on Tuesday night, for the victims of human trafficking. 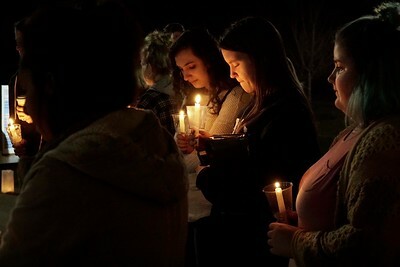 A candle light vigil is held by Lake Hollifield on Tuesday night. 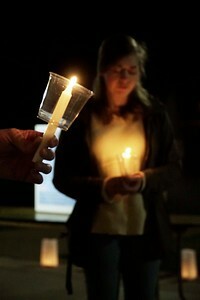 Gardner-Webb students gather to pray for and learn about the issues on human trafficking. 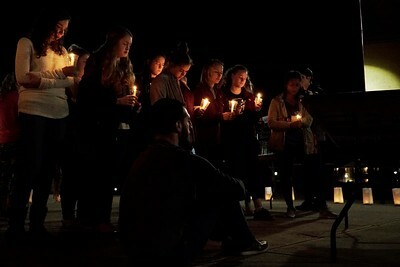 Hope Still, GWU Junior, leads Gardner-Webb students in a prayer for those affected by human trafficking. 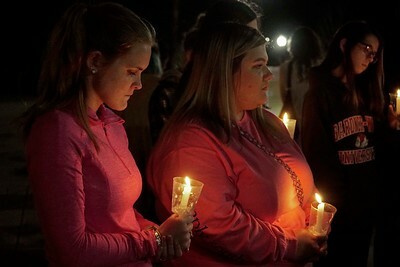 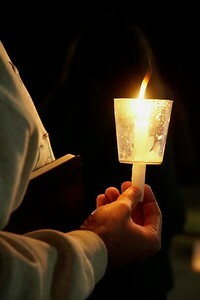 The candle light vigil was held by Lake Hollifield Tuesday night. 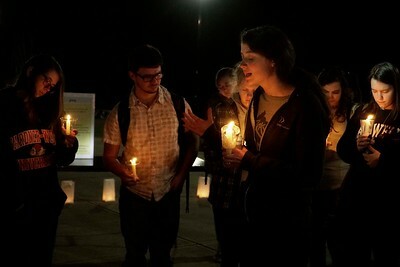 GWU students gather by Lake Hollifield Tuesday night to pray for those affected by human trafficking throughout the world. 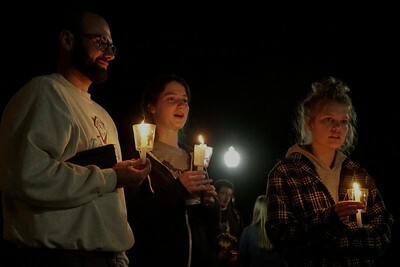 Yuri Kurerov, Sarah Grace Mosley, Hope Still, and Hannah Wray (left to right), pray for human trafficking victims at the candle light vigil held Tuesday night by Lake Hollifield.